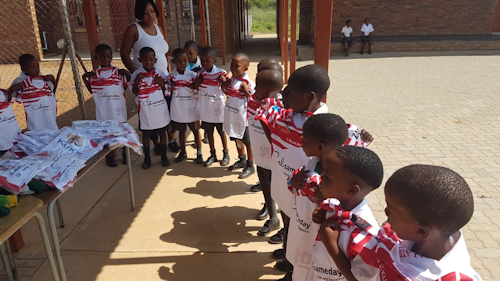 This New Year saw Golborne Parkside Pirates, in tandem with Leigh Centurions, spreading some Christmas cheer in South Africa in support of the Morukuru Family Goodwill Foundation. 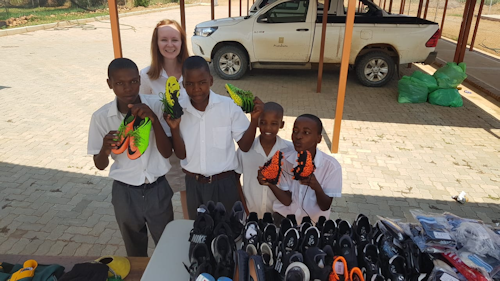 The foundation raises support and awareness for the Molatedi village, local to its safari lodge and in particular its local community school. Early this year one of the young Golborne Pirates players was fortunate enough to be able to revisit the Morukuru family and, having learned of the Goodwill Foundation the last time he was there, wanted to buy into the Morukuru belief of giving back to Africa both through wildlife conservation and the local community; where Morukuru focus on mentoring, educating and empowering through their staff and guests. With this at the forefront of his mind the young Pirate approached his team mates to bring in their unused kit from previous seasons to which they all agreed. This then escalated when coach, Tom Simms, added more kit from his fellow coaches and subsequent age groups, leaving the young Pirate with more kit than he could possibly carry! 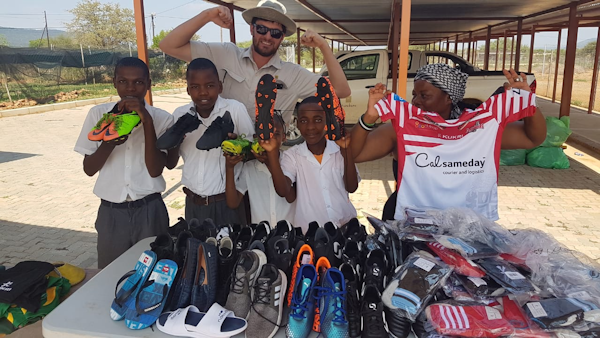 Having heard of the young Pirate’s intentions Leigh Centurions then also added their goodwill by donating all the unsold junior kits from the 2018 season which was further supported by a local business supplying football boots, shin guards, balls and gloves to complete the addition to the school’s facilities. 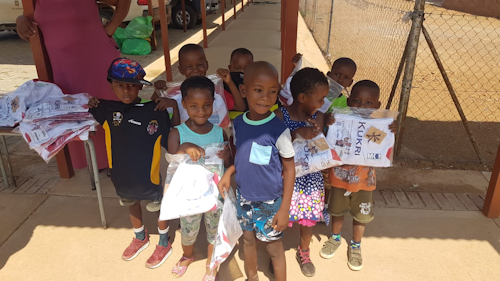 The school was closed during the trip so the Morukuru River House host, Ilse, and River House ranger, Evan, kindly took the four large kit bags to the Molatedi school on their day off on the young Pirate’s behalf. 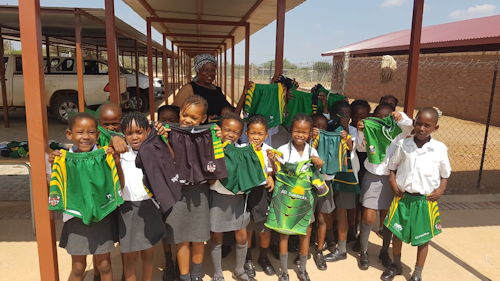 They kindly captured the occasion on camera and sent over pictures of the children receiving the donated items. The young Pirate commented: “Every year we are given new kit to wear. I have a lot of kit which I wanted to give to the school because they don’t have any. That gave me the idea, which my mum helped me with, to get all the spare kits from my team mates to give as many people the chance to have one as I could. 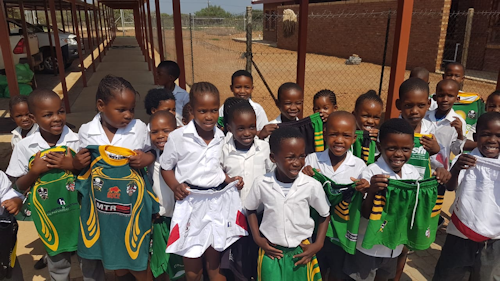 “I wanted to be able to play a rugby game with them but the school was closed. Hopefully, if I get to go again it will be open and I can meet them and teach them some skills. I would like to thank all my team mates and their parents for washing and bringing in the kits and also to my coach, Tom, for surprising me with a massive kit bag full of kits and some balls and bibs.